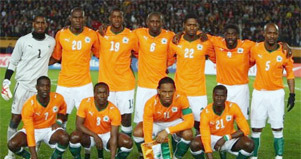 The Ivory Coast (Côte d’Ivoire) are Team 14 with a FIFA ranking of 16 in the World. One previous appearance in Germany 2006, which ended at the group stage. If there ever was a team that depended solely on one player then The Ivory Coast would be at the top of the list. 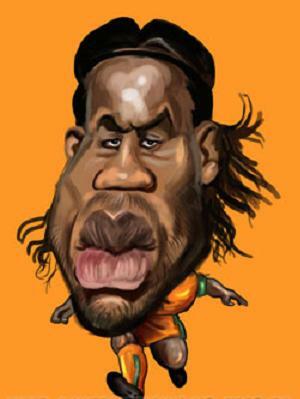 Didier Drogba is their star player and will need to be at his scoring best for The Ivory Coast to progress at South Africa 2010. The Ivory Coast are in Group G with Brazil, Portugal and Korea DPR. 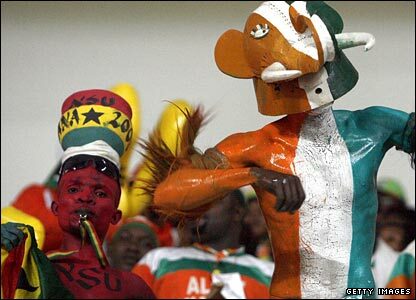 All the best Côte d’Ivoire, tough, tough Group.